Congratulations to the PMA for 75 years! 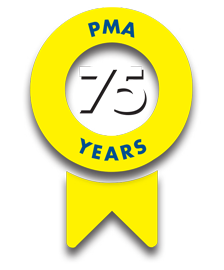 CONGRATULATIONS TO THE PMA ON THEIR 75TH ANNIVERSARY AND THANK YOU FOR YOUR DEDICATION TO OUR INDUSTRY! Since 1942 the Precision Metalforming Association (PMA) has represented the $137-billion metalforming industry of North America — the industry that creates precision metal products using stamping, fabricating and other value-added processes. Boker's is also celebrating 55 years of PMA Membership and thanks the PMA for their dedication to our industry! Dome washers have a very high load capacity with a small overall deflection; often referred to as a semi-spherical washer, dome washers have the form of a truncated-sphere. Dome washers are commonly used in applications where assemblies need a part to eliminate side play, control rattle, maintain assembly tension, compensate for expansion or contraction in materials after assembly, or to absorb intermittent shock loads and provide a controlled reaction under dynamic loads. These units are economical, occupy little space and generally weigh less than comparable wire springs. There are many industries that have demand for dome washers such as appliance, automotive, agricultural, electronics, mining, electrical, construction and medical. Boker's dome washers can be utilized in a variety of applications, including: electronic motors, valve components, automatic door apparatus, and drivetrain assemblies. With these additional sizes, Boker's now offers an expansive line of over 32,000 non-standard flat washer and spacer sizes with no tooling charges. These tools can be searched by OD or ID online at Bokers.com. 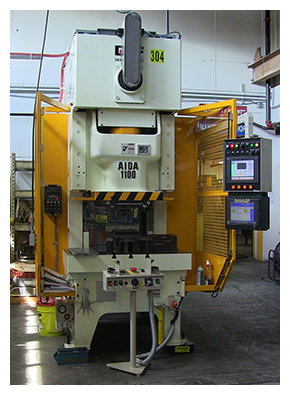 Boker's continues to invest and embrace new technology through a capital purchase of a 121 ton Aida Servo Press. 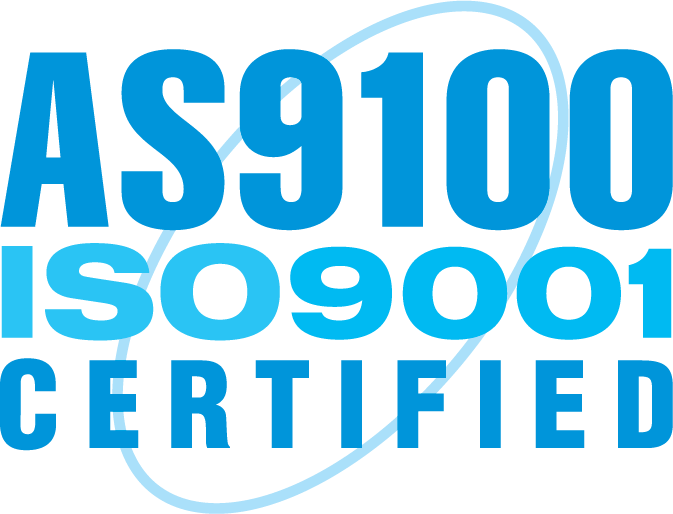 Boker's is committed to providing our customers with the latest manufacturing concepts and capabilities. 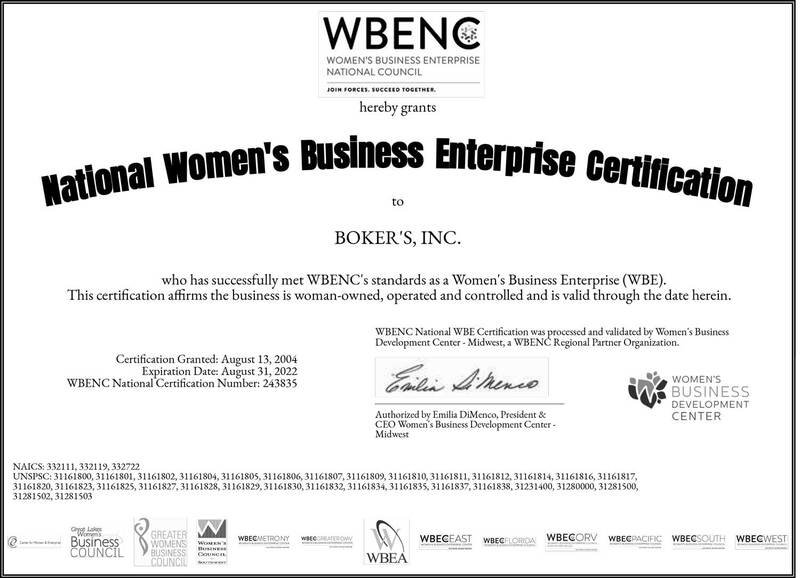 Please reach out to Boker's first for the washer or stamping you need. Boker's is continuing to foster client and potential client relationships by providing another venue to contact one of our experienced sales representatives. Check out Bokers.com to try our new website instant messaging chat feature today, and notice our website is now responsive to any connected device you may be using! 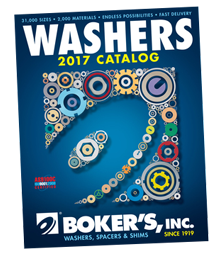 The Boker's 2017 Washer Catalog is now available. The 64-page manual offers an all-inclusive reference guide for flat washer selection, and includes detailed information on the company's more than 32,000 non-standard flat washer tools. 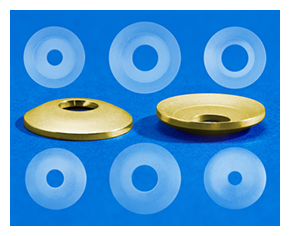 Washers are available in a wide range of materials and sizes along with secondary operations from deburring, tapping to counterboring and more. 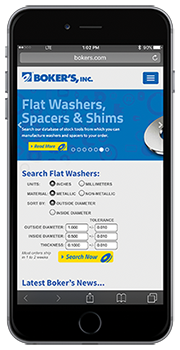 The washers catalog serves as a useful reference tool for the company's diverse offering of flat washers available in U.S. and metric sizes. All orders can be manufactured in short, medium and long production runs. With over 2,000 materials, including non-metallic, metallic, and superalloys for greater heat and corrosion resistance, washers are manufactured to meet specific product specifications. Boker's employs 125 hardworking individuals with an average of 16 years of experience at Boker's. 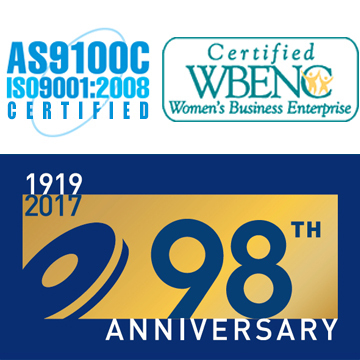 Boker's has stamped, pierced, formed and drawn thousands of unique component parts to meet customer specifications for nearly 100 years. When you need a part manufactured you can put your trust in Boker's expertise to ensure your part meets your exact specifications. Reach out to our sales staff, whom has over 300 years of cumulative experience alone! According to the Precision Metalforming Association, metalforming companies anticipate little change in business conditions during the next three months. The August report shows that 35% of participants expect an improvement in economic activity during the next three months (compared to 34% in July), 48% forecast no change (down from 58% the previous month) and 17% believe that economic activity will decline (up from 8% in July). Metalforming companies forecast a slight downward trend in incoming orders during the next three months.